At the heart of the Santa Claus Effect, we find Palestine, the birthplace of Jesus …the place I and many others consider the geopolitical and spiritual linchpin for peace on our planet. Toward the larger implication of this Santa Claus Effect, and years later, I recall watching a BBC TV special that occurred shortly after Nelson Mandela had been freed from prison, apartheid had ended and he was elected President. In this special segment, reporters meet with an upper middle class South African white family to inquire about their beliefs about the shantytown or squatter areas where the majority of millions of black South Africans lived nearby, and in utter poverty and squalor. The couple, in essence, described that they had never been near such places, even though only a few miles away from their home. The media had made it clear, since their childhood, that going near such places created the danger of being beaten, raped or murdered. As the news crew began to describe a much different reality to the couple, they also asked if they would be willing to join the news crew to see this for themselves. The husband cowardly refused and his wife, much to my surprise, curiously agreed to join the news crew. As the news team and their cars approached the shantytown area, filming away, people began to pour out and surround the cars full of white people. Each face radiated happiness, joy, and excitement to meet the white people. The car doors opened and the news team and the wife got out. People and children began to joyously surround them, they reached out to touch them, hold their hand and even hug them. After a period of time, the news crew then directed everyone to walk into shantytown where the desperate living conditions of open latrines, trash and squalor became apparent with every step. Everywhere they walked they were treated with kindness and happiness. There was not one frown or angry word uttered by the people who had just suffered under and endured apartheid. At age 60 I’ve been able to observe and connect the dots on how the Santa Claus Effect is used to lie, manipulate and divert attention away from what’s really happening, what’s really being played out on the global political chess board. I admit to growing up under my Father’s worldview and the global narrative that Palestinian people have been positioned or “branded” as aggressive and insane terrorists. The media insured this narrative stuck in my mind and others by parading a constant stream of still and video images of the aftermath of suicide bombers. The horror and gruesomeness of these images always seemed to overshadow the bigger and more rational questions about why someone would do something like this. The visceral knee-jerk reactiveness that these selected images created, seemed to intentionally blind the mind from being able to rationally ask about the real motive and/or cause for which a suicide bomber was willing to die and kill for. Relatively speaking, most don’t know or have forgotten that during WWII Japanese Kamikaze pilots were suicide bombers. The job of these pilots was to intentionally fly their bomb-planes down the smokestacks of US warships. It was literally a suicide mission. Now, given the somewhat bizarre nature of this, have you ever heard someone classify Japanese people as crazy or terrorists? 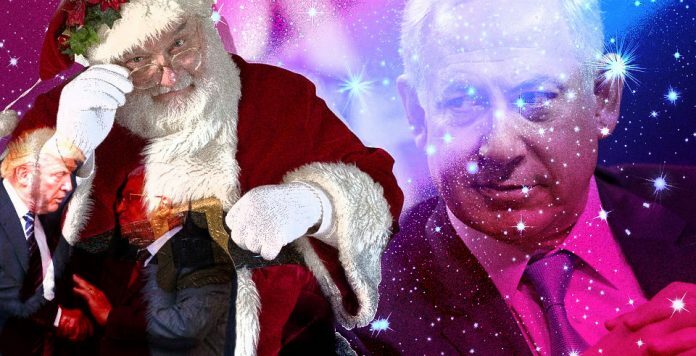 I began to wonder if there could be a Santa Claus Effect within the context of the colossal and never-ending conflict between Palestine and Israel. The internet created leakage around the mainstream media and it came to light that the Palestinians were sitting on the largest water aquifers in the Israeli and Palestinian region. 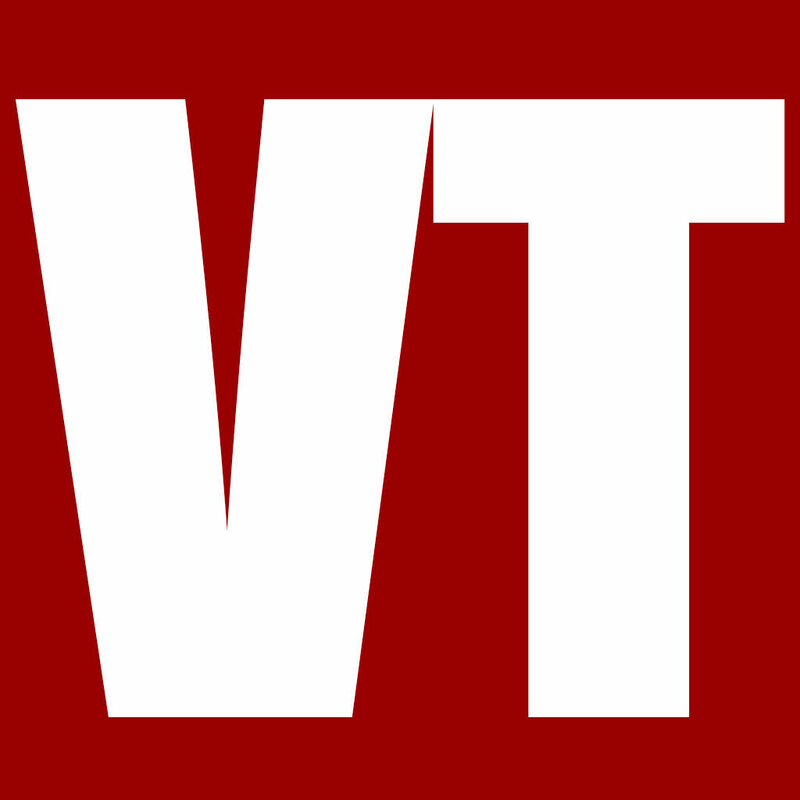 Coverage also exposed the fact that the Israeli government prohibited the Palestinian people from drilling into their own water supplies. How could this be, I thought? How could the UN or the morals of the United States and its people stand for this basic denial and violation of human rights? Then there was the more recent 2014 Summer invasion of Gaza, where over 2,100 Palestinian people were killed, 490 of which were children. Thousand of rockets, supposedly fired by the Palestinians, gave provocation and a rational cover for a genocide that was enacted against the defenseless civilian population living in Gaza. The media narrative was that the Palestinians deserved this because of Hamas’s actions. DURING this time it was disclosed that Gaza happened to be home to some 1.4 trillion cubic feet of natural gas, a find worth a very large fortune. Could all of this just be a coincidence? These fighting tactics run parallel to those described by returning US Iraqi soldiers, who have similarly and courageously come forward. My father always taught me to always be on the lookout for bullies and, if I could, to always do the right thing by protecting those who were weaker and who were being preyed upon by the more powerful and unconscious. As I grew up and through adulthood, pictures of Palestinian children and teens throwing rocks at Israeli tanks and using slingshots to hurl rocks at armed soldiers with rifles never measured up to me like a fair fight. This visual narrative played a bit like the old portraits of American frontier settlers shooting rifles at Native Americans who were equipped with bows, arrows, and tomahawks. The media, for some reason, never seemed to show an image of a downed Israeli jet fighter (made by the US), a destroyed tank (made by the US) or a sinking warship (made by the US) at the hands of the Palestinians. And yet, the Palestinians have been portrayed as powerful aggressors and terrorists. Rocks vs Tanks…slingshots against Rifles…rockets (no guidance system or warhead) vs laser-guided bombs and missiles (guidance system and warhead) – this whole situation always seemed a bit like Samson vs Goliath to me, a Santa Claus Effect. Most have forgotten or don’t know that during the American Revolutionary war the British Government, who was militarily occupying US soil, treated American Patriots with a disdain much like the Palestinians are now treated. The British despised and thought the non-conventional guerilla fighting tactics of the Americans as cowardice. Most forget, that at that time, America had to think in a lateral way because they did not have great battleships, long-range field cannons nor a large group of well-trained and equipped soldiers as did the British. Americans fought with what they had … and won by a determination to think and act outside of the box. Americans, by-the-way, learned this guerilla fighting technique from the Native Americans. A great people who innocently and warmly welcomed us to their land taught us how to survive harsh winters (we celebrate the holiday of Thanksgiving around this) and lovingly lived among us. We would later express our gratitude to these great people by robbing them of their land for small worthless glass beads, enslaving and committing mass genocide against them, and then to those of whom survived, we would round them all up and then put them in prison concentration camps we called “Reservations”. This all occurred under the philosophy of Manifest Destiny, or in other words, we are the Chosen Ones and you are not. The horrors of this genocide justifying philosophy go back to the Doctrine of Discovery issued by Pope Alexander VI in 1493. This doctrine, in essence, describes the protocols by which Christian explorers were to conduct themselves when landing on foreign soil. 1) if occupied by fellow Christians they were to leave the land in their procession or equitably divide the land. 2) If not occupied by anyone. Dibs it’s yours to claim. 3) If occupied by non- Christians two choices: murder or enslave the people. This mentality is light years away from the Star Trek Prime Directive principles of the imagined Federation: relative to all civilizations which are below a certain threshold of technological, scientific and cultural development; Starship crews are prevented from using their superior technology to impose their own values or ideas on them. The Doctrine of Discovery, Manifest Destiny, Colonialism, We’re THE CHOSEN ONES, We found THE WAY… is this beginning to sound like a familiar tune? Surely we are beginning to connect-the-dots of this insane historic rhetoric and seeing through the Santa Claus Effect? Peace is the new lateral thinking of the Palestinian Government, its People, and our world. Make no mistake about it, the Palestinians want a fair and just freedom with dignity and respect. This means a Freedom as demonstrated by the bringing down of the Berlin Wall, the ending India’s occupation and the dismantling of apartheid in South Africa. There is, as I know first hand, an ever-growing movement in Palestine to establish this region, the birthplace of the three monotheistic religions, into a global center for peace and reconciliation. The vast majority of the Palestinian people are wise, loving and powerfully resolved towards a true and lasting peace. They have learned the distinction of the greater power of being FOR LOVE, PEACE, and FREEDOM versus the weaker position of being against occupation, apartheid and the wall. The Palestinian Government and its people lovingly and reverently protect and hold as sacred Bethlehem, the birthplace of Jesus. They honor with great devotion to the teachings of the Christ and live in respect of all religious teachings. Manger Square Bethlehem, with the Church of Nativity on one side of the square and a Muslim Mosque on the other, is a shining example of an intention to respectfully co-exist. During the globally broadcast music concerts from and for Bethlehem, we featured a video that showed how all of the major spiritual teachings showed the common message of being loving, towards the self and others. There was never, at any time an implied or specific request, by any authority figure working with us, to sensor this universal message. Contrary to how the Palestine people have been portrayed by the media, they courageously strive to the embodiment of the words of Mother Teresa who stated, “Let us not use bombs and guns to overcome the world. Let us use love and compassion. Peace begins with a smile. Smile five times a day at someone you don’t really want to smile at; do it for peace. Let us radiate the peace of God and so light His light and extinguish in the world and in the hearts of all men, all hatred, and love for power. Love and Peace is the new universal and lateral thinking in Palestine. Their Government and it people know this – it is even proclaimed in large graffiti letters painted on Bethlehem’s dividing wall, “Love Wins.” May both the goodness of the Palestinian and Israeli people help realize, and model to the world, how two groups of kind, brilliant and caring people can Unite us all in the power of love and peace. Love and peace on earth are truly possible when each of us achieves clarity, remember to authentically love our neighbors as ourselves (by first reverently loving the self) and know that the salvation of the world depends on each of us. Regarding “Gangs of New York”. How about a true story out of there instead of a movie lie? At one time a famous woodsman became a congressman. Davy Crockett During his tenure he had a chance to visit New York and see the “Gangs” for real. He later said he was never more frightened in his entire life. This from a man who faced terrors alone in the woods, and died fighting against overwhelming odds at the Alamo. Israel and Palestine , until what we will find a solution for the this two countries?!!! this the big question. It’s Occupied Palestine , Dummy , It Will Someday be FREE of The Zionist Evil , Sooner or Later . There’s been a great Exposure about Israeli Mischief’s and Misbehavior’s , Seems the rest of the Global Tribes are Disgusted by Israel’s Evil Adventures & Bloodbaths .Most Countries Do Not Agree with ” Israel ” IF Not Loathe the Pariah Entity .